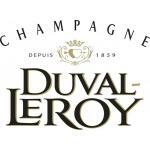 Duval-Leroy remains, at the beginning of the 21st Century, a family-owned firm; for that we should be grateful, as Champagne has already had more than its fair share of big business buyouts. Also, the range of wines has a number of surprisingly good high-points (although there are also some low-points), considering that this name is not one bandied about alongside other favourites such as Bollinger or Pol Roger; yet another reason to be grateful. Duval-Leroy is perhaps a name with which we should be a little more familiar. 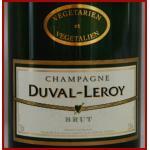 Established in 1859, Duval-Leroy has been, for over a century, an 'also-ran'. 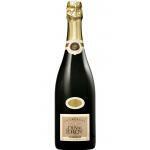 Good wines were made here, but nothing to challenge the real grandes-marques of Champagne. In recent years, however, this situation has been turned around. The change came in 1991, when Carol Duval-Leroy took on the mantle of running the family firm, following the death of her husband. Carol's dynamic influence on the company, together with the applied skills of winemaker Hervé Jestin, has been a great benefit. Since she assumed control, quality at Duval-Leroy has soared, and during the 1990s the wines were easily of the quality one expects from a grande marque. Carol shifted the focus of Duval-Leroy away from producing Buyer's-Own-Brand wines, and turned her attention to building up the Duval-Leroy brand. Updating, innovating and improving was the name of the game. 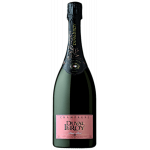 Many of the wines which today form part of the Duval-Leroy range have been introduced by Carol during the 1990s, including the Femme prestige cuvée. Her influence has been considerable, and it extends beyond the limits of her own house; in 2007 Carol Duval-Leroy became the first woman to take up the position of president of the Association Viticole Champenoise, a local trade organisation. Duval-Leroy is based in Vertus, a village in the Côte de Blancs, and is now one of the largest land-owners in all Champagne. The firm owns vineyards in all the Grand Cru villages of the Côte des Blancs. A number of the wines reflect this location, as they demonstrate a certain quality of Chardonnay not to be found elsewhere. The house style here is elegance, freshness, with good fruit. This should be carried throughout the range, which is extensive, including several non-vintage cuvées, rosés and prestige wines. The entry level non-vintage is the Fleur de Champagne Brut, sourced from twenty crus in the Montagne de Reims and Côte des Blancs. 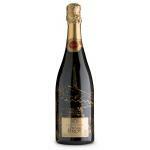 There is also a Fleur de Champagne Premier Cru, sourced from appropriate vineyards in these regions. The vintage cuvée is mostly Grand Cru, from the Vallée de la Marne, Montagne de Reims and Côte des Blancs. 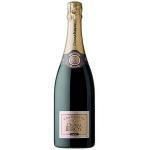 The Blanc de Chardonnay and Extra Brut are both also all Grand Cru. The two rose non-vintage wines are both 100% Pinot Noir, and are made by the saignée method, where the juice is run off the skins once it has taken on sufficient colour. This method reputedly, and I do not disagree, gives a higher quality product than the process of mixing red wine with the wine to produce the desired colour, which is legal in Champagne (although not for AC wines elsewhere in France) and which is a much simpler and thus more widely practised technique. 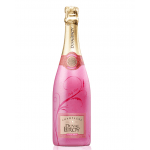 The prestige cuvées include the non-vintage Collection Paris, which comes in an attractively shaped bottle, bearing an image of Paris by American artist LeRoy Nieman. Nieman and Carol Duval-Leroy are friends, and the image was one sketched on a napkin by the artist when staying with the Duval-Leroy family. 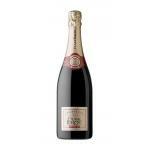 The two struck a deal; Nieman designed the bottle for the new Paris cuvée, and Duval-Leroy was permitted to use the image. Subtle this isn't; the gold image, silk-screened onto a blue bottle, looks impressive, but the contents don't quite live up to the packaging in my experience. I preferred the straight Fleur de Champagne. The Cuvée Leroy Nieman, a Chardonnay-dominated vintage wine from five Grands Crus including Avize, Mesnil sur Oger, Ay, Chouilly and Cramant, as well as Vertus (a Premier Cru). This fairs somewhat better than the Paris, and illustrates the special relationship that must exist between Duval-Leroy and Nieman. 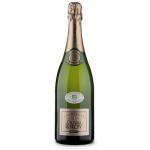 The Cuvée des Roys is another similar Chardonnay-heavy blend, from a slightly wider selection of Grand Cru villages. 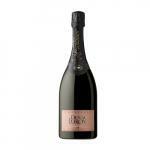 The best portion of the harvest, however, is saved for Cuvée Femme, sourced from selected plots in Avize, Ay, Chouilly and Oger. Finally, in what is an extensive (and perhaps a little confusing) range of wines, come the Authentis cuvées. Unlike all the former wines these are fermented in oak rather than stainless steel, and includes a Petit Meslier, an ancient grape of which only about 20 ha remain in all Champagne. Credit is due Duval-Leroy for adding this unusual wine to their portfolio. There is also Trépail, Chardonnay from Premier Cru village Trépail, and Cumières, Pinot Noir from Premier Cru village Cumières.